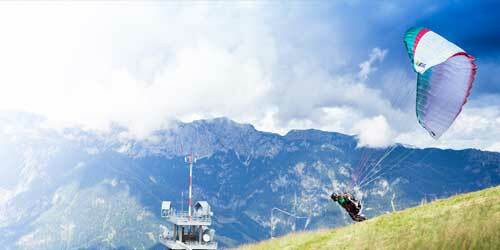 Rafting in Manali is most enjoyable in Manali region if you are adventure lover! If you are looking for safe rafting in manali managed by expert rafting professionals in Manali, then get ready for some highly enthralling water sports in Beas River that offers a thrilling experience of Rafting in Kullu Manali, Himachal Pradesh. Rafting season in Manali keeps running all year round except monsoons and extreme winters, as water levels get down. During summer season, the melting snow on Himalayas fill the Beas river with enough water and also provide them high speed that is suitable for taking up the white water river rafting expedition in Kullu Manali. 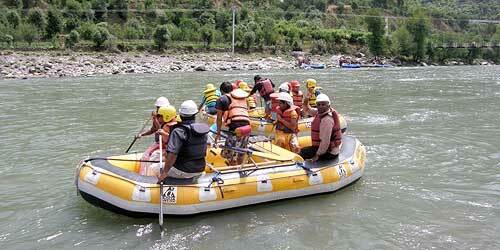 River- rafting operates at Pirdi (4 kms ahead of Kullu town) down to Jhiri, on a stretch of approximately 14 kms. (Period Apr 15th-Jun end). The journey takes nearly one & half hour consisting of rapids from grade II & III.